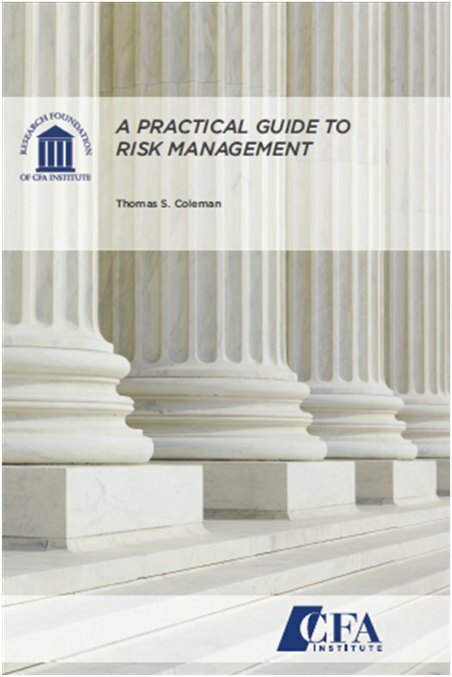 Thomas Coleman is the author of two books on risk management. Published by the Research Foundation of the CFA Institute in July 2011 this book has grown into the most widely-distributed of their Monograph series. True to the title it discusses the practical side of risk management – how to think about risk and uncertainty in today’s financial world. Good managers have always known that managing risk is central to a financial firm and must be the responsibility of anyone who contributes to the profit of the firm. Without the technical sections of the Wiley book below, this monograph focuses on how to think about risk while minimizing the technical content. This volume, in common with the CFA monograph above, focuses on how to think about risk. But this volume includes the technical material necessary to actually measure risk. Providing the models, tools, and techniques firms need to build the best risk management practices, Quantitative Risk Management is an essential volume from an experienced manager and quantitative analyst.